Like any service with your administration fees…? 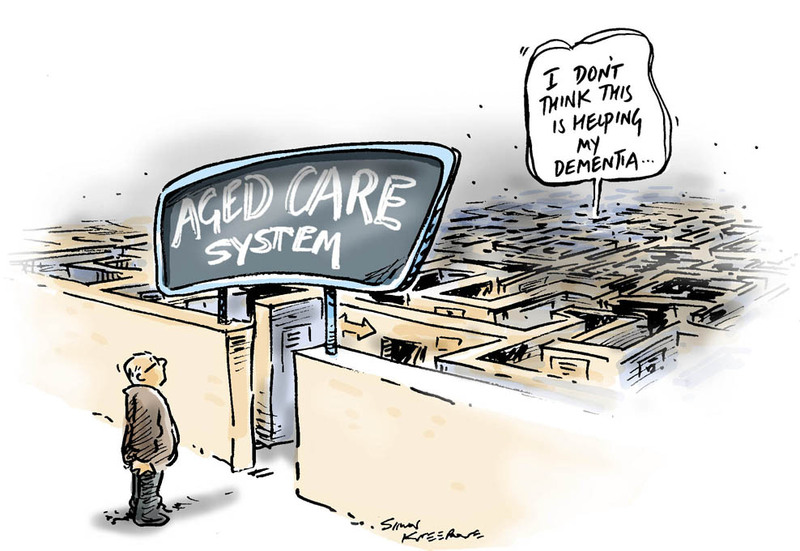 Cartoons used in Aged Care Matters director Sarah Russell’s research report: Older People living well with in-home support presented to the Aged Care Quality and Safety Royal Commission in Adelaide today. Dealing with service providers was like “going to war”, read news report here. Elderly Australians can be assessed for home care ‘packages’ – funds to purchase services to enable them to keep on living in their own homes. This government funding has made providing these services a growth industry. Demand exceeds funding – many people have long a wait (some even have died) before their package comes through. Today’s Pro Bono news cartoon. 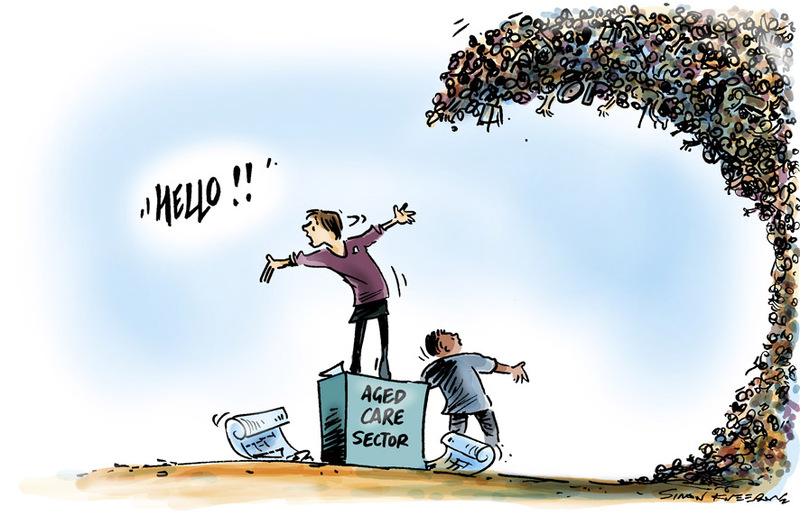 Last week’s Pro Bono news cartoon: the Government announces a Royal Commission into aged care quality and safety. Gravy train riding a tidal wave! Illustrating an article by researcher Sarah Russell in this weekend’s The Age newspaper. Read the complete article here. 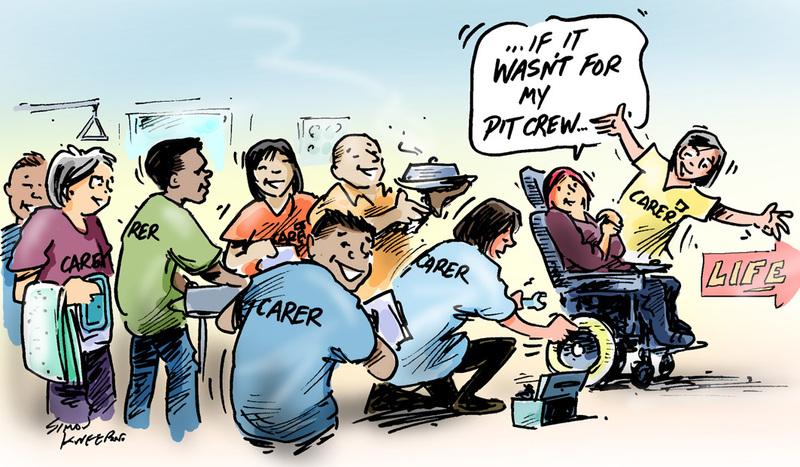 This week is Carers Week in Australia. Here is this week’s cartoon for the Pro Bono news website. Young People in Nursing Homes? 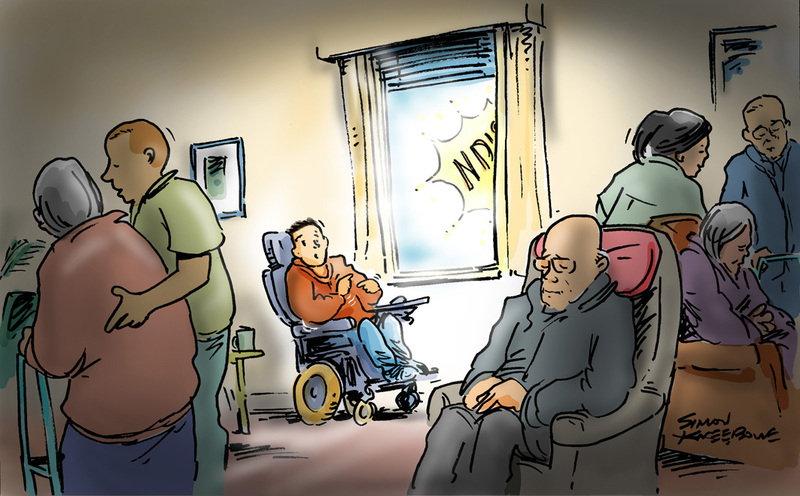 There are many young people with disabilities living in nursing homes. The new National Disability Insurance Scheme (NDIS) promises a great step forward for supporting people with disabilities getting on with their lives. However, as this Pro Bono News post explains, it will not help those young people in aged care nursing homes as there is already a lack of suitable and affordable housing for all young people with disabilities. Research has found that ’53 per cent of young people in residential aged care received a visit from a friend less than once a year’. ‘It’s in the system’ is meant to be reassuring – maybe it’s a cheque that’s not arrived, a form has got lost… but what if it is a person? Click here to see other cartoons on the Pro Bono website. The weekly cartoon on the Pro Bono website is usually inspired by posts on their news page. Pro Bono is Australia’s leading online news service for the Not for Profit sector. 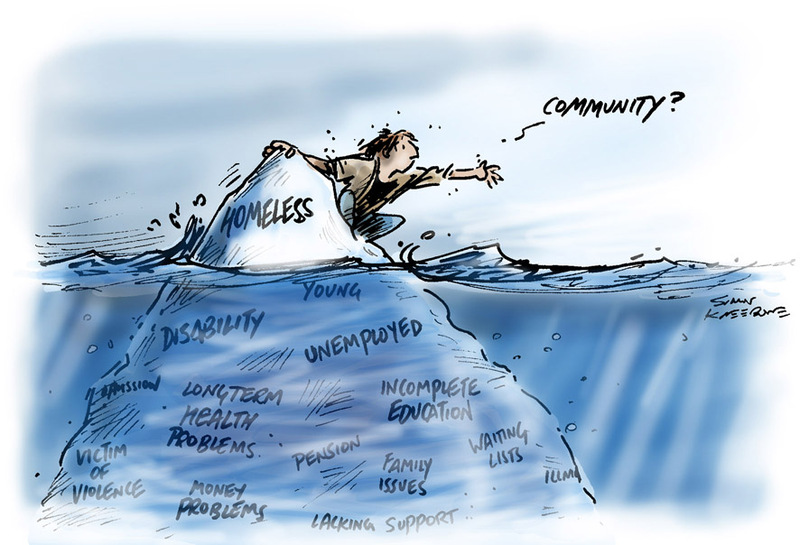 This week two articles stood out: one on homelessness, the other on the aged care sector. I did two cartoons – below – click here to see which one was published.